This surface is created with finely ground (pH neutral) natural cork applied to a 170 lb (pH neutral) board and creates a soft sand-like surface. 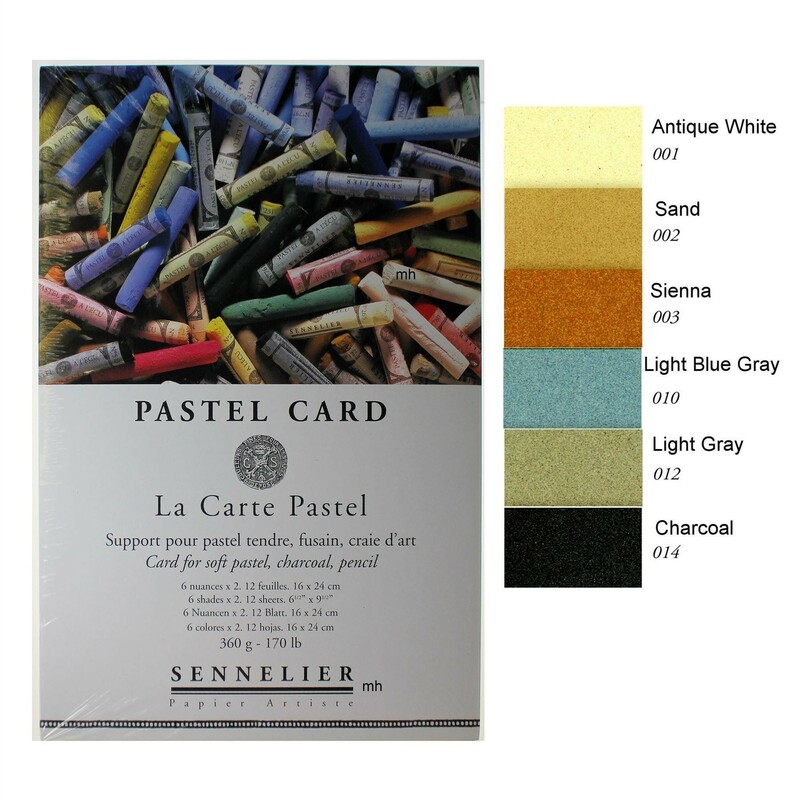 The sheet of tracing paper is designed to help artists assess their work on the various colours of La Carte Pastel. 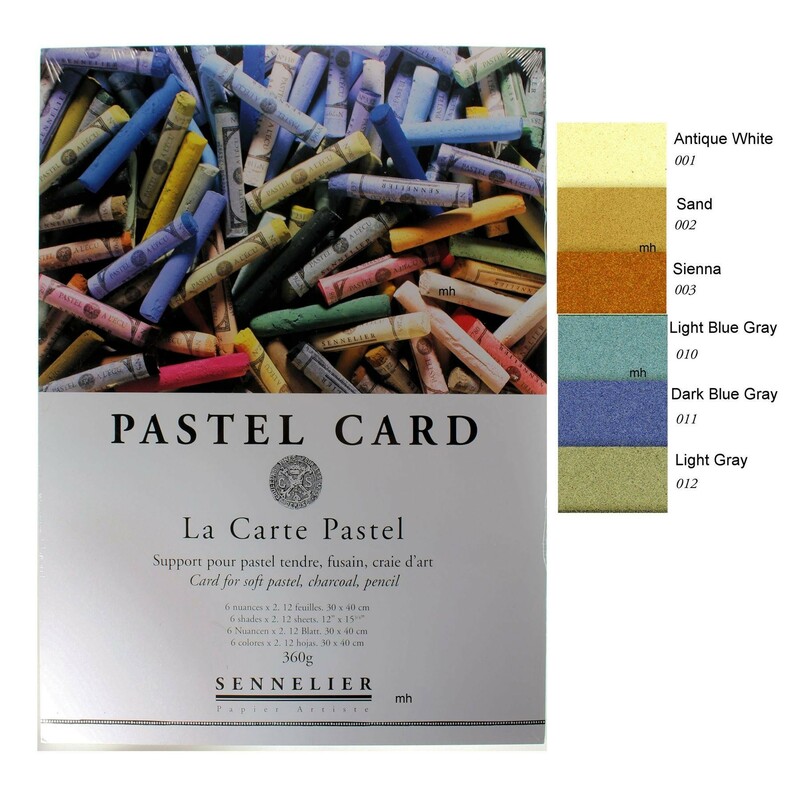 Using the Sennelier pastels, draw a sketch on the tracing paper, and place it over each sheet of La Carte. 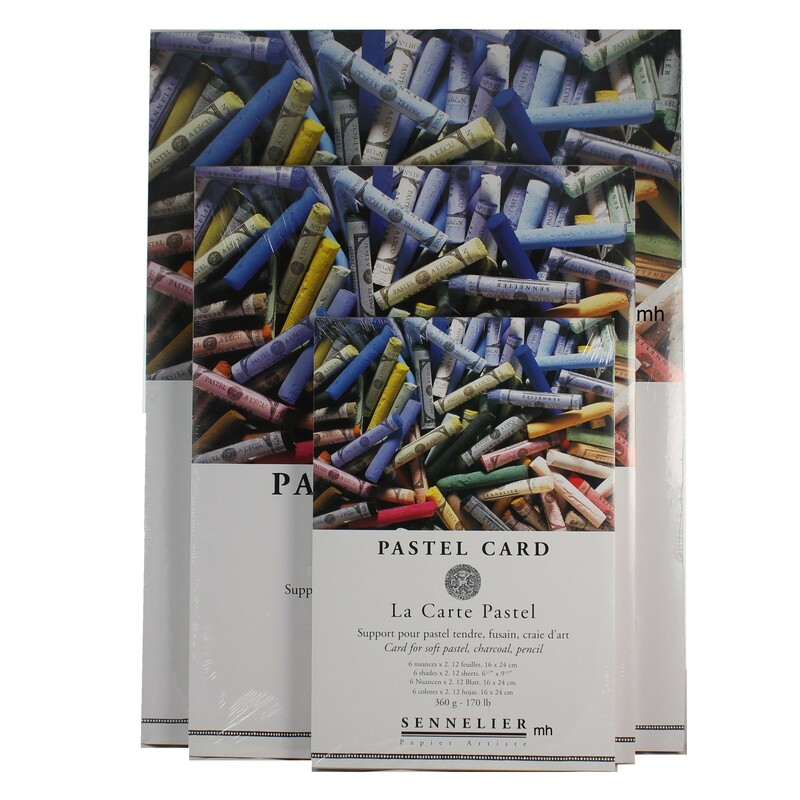 Then pick the colour of La Carte that enhances your work the best. 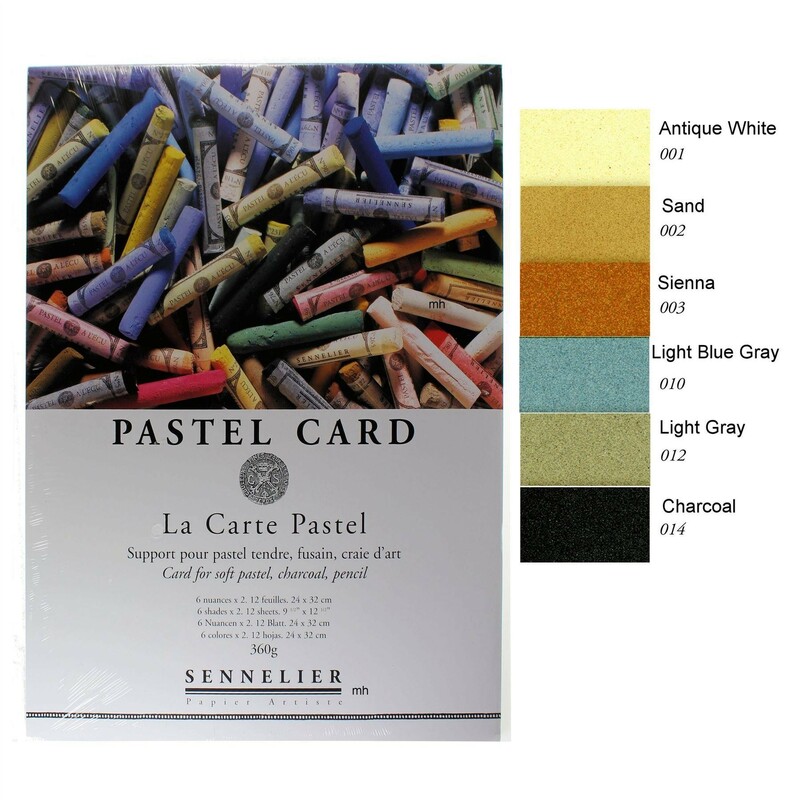 24x32cm (9.5x12.5in) or 24x16cm (9.5 x 6.5in) with 6 shades x 2 of each : Antique White 001, Sand 002, Sienna 003, Light Blue Grey 010, Light Grey 012, Charcoal 014. 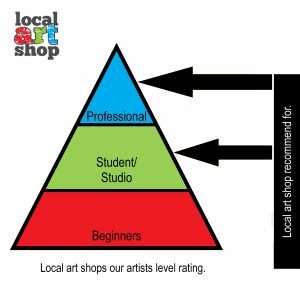 Hover over small image to see size. Paper for all dry drawing techniques: soft pastel, charcoal and graphite.